If you face a dental emergency, give us a call immediately. If you need urgent treatment after hours, you can call our office to get our emergency number. 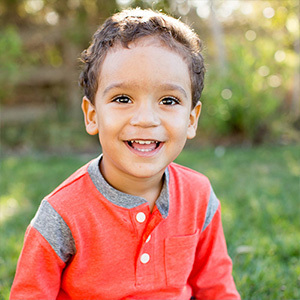 We are always here to assist when your child’s dental health is at risk. Below are tips on dealing with urgent dental situations. You may want to display this list on your refrigerator or store it near your emergency phone numbers for easy reference. If your child has chipped or broken a piece off of his tooth, have him rinse his mouth with warm water, then use a cold compress to reduce swelling. Try to locate and save the tooth fragment that broke off. Call us immediately. Place the fragment in milk to prevent color change with dehydration. If your child’s tooth has been knocked out of his mouth, find the tooth and rinse it with water (no soap), taking care to only touch the crown of the tooth (the part you can see when it’s in place). If you can stomach it, place the tooth back in its socket and have your child bite on a washcloth. Otherwise, place the tooth in a clean container with milk. Call us immediately to have the tooth splinted in. Time is important. If you act quickly it's possible to save the tooth.